Pra U-Tong Awk Seuk - Jong Ang Seuk Edition 2510 BE - Wat Pra Ari Radtana Maha Tat (Supanburi). The amulet is known as the 'Jong Ang Seuk' edition, because a large number of them (25,700 amulets) were sent to distribute to the soldiers who had travelled to fight in the Vietnam War, to protect them in battle. The remainder of the amulets which were not sent to the warriors on the front lines, were not distributed at first, and were passed through a further 2 Buddha Abhiseka blessing ceremonies. The Pra U-Tong Awk Seuk is a classic and historically famous edition of Wat Pra Sri Radtana Mahatat, in Supannburi, that is modelled in similarity to the Pra Pong Supan'Pim Hnaa Gae' Benjapakee amulet of Supreme Fame and Reverence. Although this edition is commonly known to have the Pim Hnaa Gae Nang Samadhi Khat Paetch Meditating Buddha Image (both hands clasped together facing upwards on the lap), there were actually also some models made, which have a Buddha Image seated in the Mara Vichai (Conquering Mara) Posture, with one hand reaching down to touch the earth. An image of the Ancient Chedi Stupa is stamped onto the rear face of the Pra U-Tong Jong Ang Seuk Pong Supan amulet, of Wat Pra Sri Radtana Mahatat. The Muan Sarn and features of the amulet are rich in Nuances, and provide and excellent exhibit for viewing as study material for the Pra Pong Supan Pim Hnaa Gae type amulet, and its features. Klaew Klaad Maha Amnaj, Serm Yos, Kong Grapan Chadtri, Maha Ud Power for those in lines of duty where the ability to instil confidence and trust, convince others of your will, and survive great dangers, increase status and chances of promotion. Such are the powers of the Pra U-Tong Awk Seuk Jong Ang Seuk Pong Supan amulet, and all Pra Pong Supan of the Benjapakee Class family of amulets. Monks present in the ceremony included Luang Por Mui (Wat Don Rai), Luang Phu To (Wat Pradoo Chimplee), Luang Phu Nak (Wat Rakang Kositaram), Luang Phu Toop (Wat Kae Nang Lerng), Luang Por Toon (Wat Po Nimit), Luang Por Sud (Wat Ka Long), Luang Por Thin (Wat Pa Lelai, in Supanburi), Luang Por Gaew (Wat Chong Lom), Luang Por Khom (Wat Rong Phai Wua, Supanburi), Luang Por Huad, (Wat Don Po Tong), Luang Por Pae (Wat Pikul Tong), Luang Por An (Wat Prayatikaram, Ayuttaya), Luang Por Tim (Wat Pra Khaw, Ayuttaya), Luang Por Ngern (Wat Don Yai Horm), Luang Por Tong Yoo (Wat Mai Nong Pra Ongk) and the Great Luang Por Noi (Wat Dhamma Sala, Nakorn Pathom). These are just a few of the many great Monks who attended, amongst a total of 69 Guru Masters present in all. 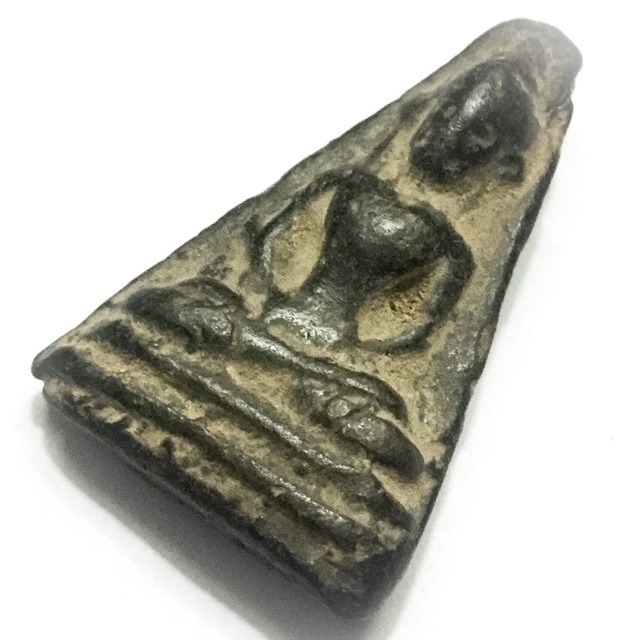 This amulet is officially registered in many amulet competitions of National Status, and is a well accepted, and highly affordable member of the 'Pra Niyom' category of Master-Class amulets.